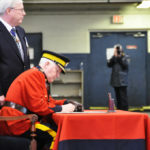 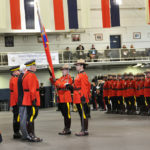 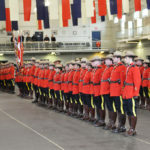 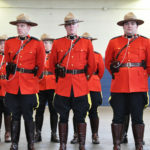 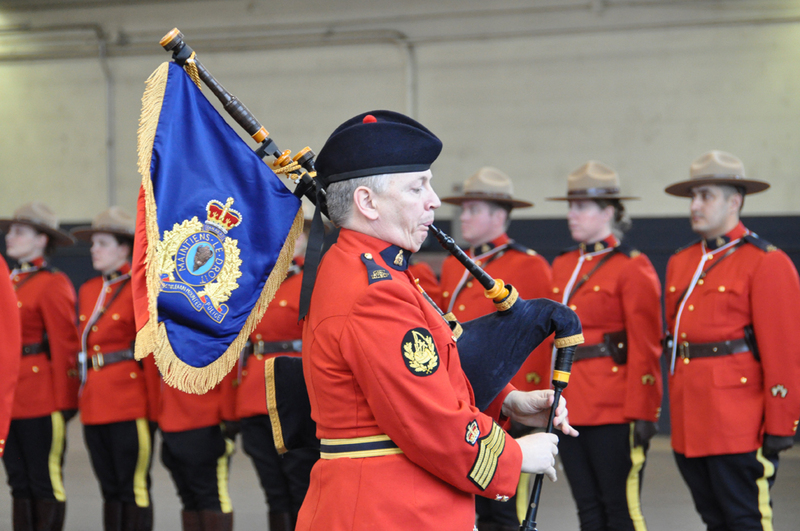 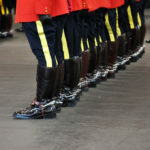 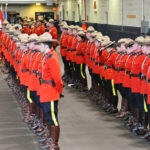 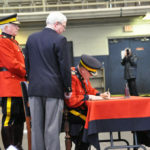 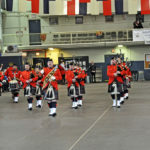 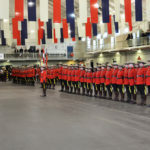 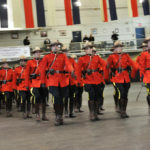 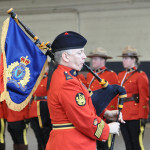 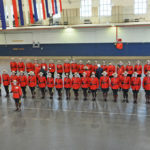 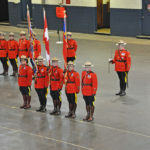 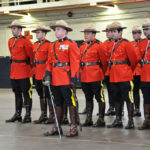 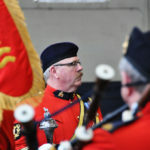 The Royal Canadian Mounted Police’s “E”N Division (British Columbia) held a Change of Command Parade at the Seaforth Armoury in 2004-04-11. 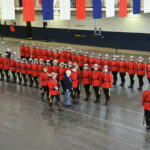 “RCMP lowers its height standards” At the RCMP “E” Division’s Change of Cammand Parade in 2011, a young boy, dressed in an RCMP costume, poses in the ranks with an officer. 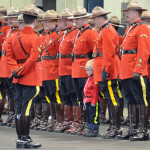 I expect that the boy is a member of an RCMP family.